How does the Christian ‘base’ like POTUS’s potty mouth? I’m scratching my head — and not because it itches. I am wondering something about Donald Trump’s two-hour tirade today at the Conservative Political Action Conference meeting. 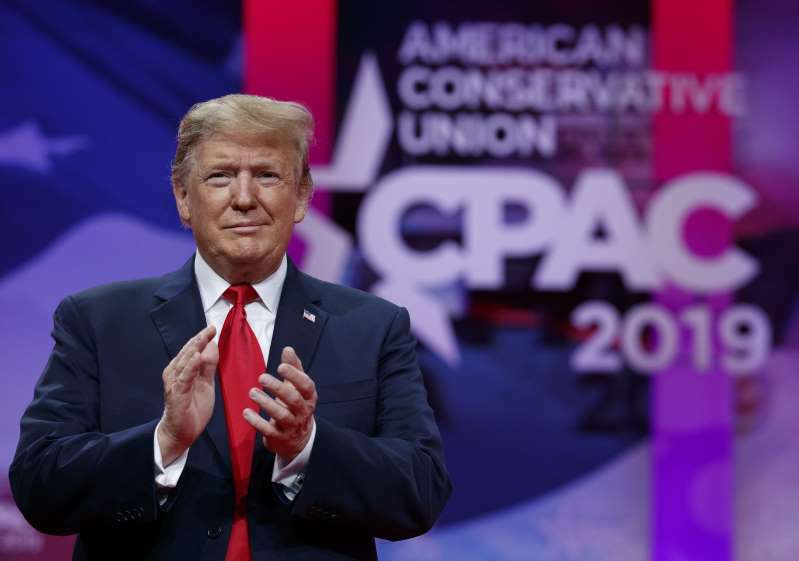 He stood before the faithful and laid out a profanity-laced harangue against the media, Democrats, special counsel Robert Mueller, socialists. The word “sh**” and certain variations of it were on full display today. My wonderment? A big part of the president’s “base” includes the evangelical Christian movement. They like Trump’s judicial appointments; they support his statements about prayer in school; they adhere to his newly found pro-life stance on abortion. They don’t mind that he mocks individuals’ speech, such as what he did today in mimicking former AG Jeff Sessions’ Southern drawl. They give him a pass on his serial philandering on all three of his wives. They say every person is entitled to God’s grace. But wait. Do they really like a president who spews filthy language in public? Is that the tone and tenor of a Godly man? Please don’t remind me that other presidents have salted their language. Lyndon Johnson, Richard Nixon, John F. Kennedy, George H.W. Bush, Bill Clinton, George W. Bush and Barack Obama all were known to utter profanity in private. Heck, “W” did so in my presence, to me, about five years before he was elected president. But I don’t ever remember any of those men lacing their language with the profanity that flies out of Trump’s pie hole during public speeches, such as what he did today. Is that how he “tells it like it is”? How does deputy AG define ‘right thing’? Deputy U.S. Attorney General Rod Rosenstein has developed a finely tuned flair for cryptic comments. Such as what he said about his new boss, Attorney General William Barr. 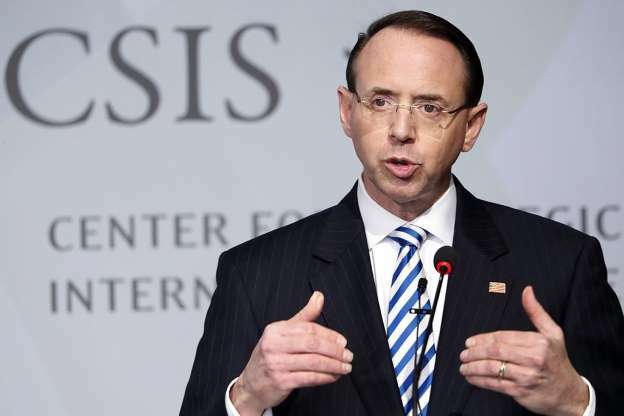 Rosenstein said Barr will “do the right thing” regarding the possible release of the Robert Mueller report, which the special counsel looking into the alleged “collusion” with Russian government operatives is going to send soon to the AG. Hmm. The “right thing,” yes? How does the deputy DOJ official — the man who appointed Mueller to the job of special counsel — define the “right thing”? I hope it means that Barr will release as much of the report to the public as he can. I believe strongly the Muller report needs to be placed before the public for our perusal and determination. He has spent a lot of taxpayers’ money examining whether the Donald Trump presidential campaign colluded with Russians who attacked our electoral system in 2016. Rosenstein is leaving the Justice Department next month. Barr has just taken over a department wracked by controversy and chaos. The president has exacerbated it by his hectoring of former AG Jeff Sessions, who did the right thing by recusing himself from the Russia probe. Rosenstein then selected Mueller to lead the probe into alleged collusion. Meanwhile, the president — who proclaims his total innocence of any collusion — has called the investigation a witch hunt. What is the “right thing” for Barr to do? Let the public see what is in it, what it lays out, what Mueller has learned. Robert S. Mueller III doesn’t need a chump blogger such as me out here in the middle of Donald Trump Country to defend him. I will do so anyway. Trump calls Mueller’s probe a “witch hunt,” he calls it “rigged,” and asserts that Mueller has found zero evidence of “collusion” between the Trump 2016 presidential campaign and Russian operatives who attacked our electoral system. I am forced to wonder aloud: How does someone pile up 37 indictments and guilty pleas while conducting a “witch hunt”? Back when then-Attorney General Jeff Sessions recused himself from the Russia probe, deputy AG Rod Rosenstein selected Mueller — a former FBI director and a crack prosecutor — to lead the investigation. Mueller’s appointment was greeted in the moment by partisans on both sides of the aisle with universal acclaim. Politicians called it an inspired choice and were delighted that Mueller accepted the challenge of getting to the root of the Russia matter. Then he began sniffing out Donald Trump’s closest aides and campaign advisers. Suddenly Mueller’s name became mud in the eyes of Republicans. Donald Trump has been relentless in his haranguing of Mueller via Twitter. I continue to believe that this decorated Vietnam War combat veteran, a former U.S. Marine, is the man who partisans hailed when the Justice Department named him special prosecutor. Having said that, do I want this probe to end soon? Yes! I do! I want Mueller to wrap it up. However, I want him to finish his task without interference from the DOJ, or from William Barr, who’s been nominated by Trump to be the next AG to succeed Jeff Sessions. I have faith that Barr will honor his pledge to let Mueller finish his task under his own power and on his own terms. I’ll just make one request — yet again — of the special counsel: Release as much as he possibly can of what he finds to the public. We are spending a lot of public money on this probe and the public deserves the chance to see if this money is worth the investment we have made in the pursuit of the truth. William Pelham Barr surely knows that he is stepping onto political terrain that is a universe apart from where he once ventured. President George H.W. 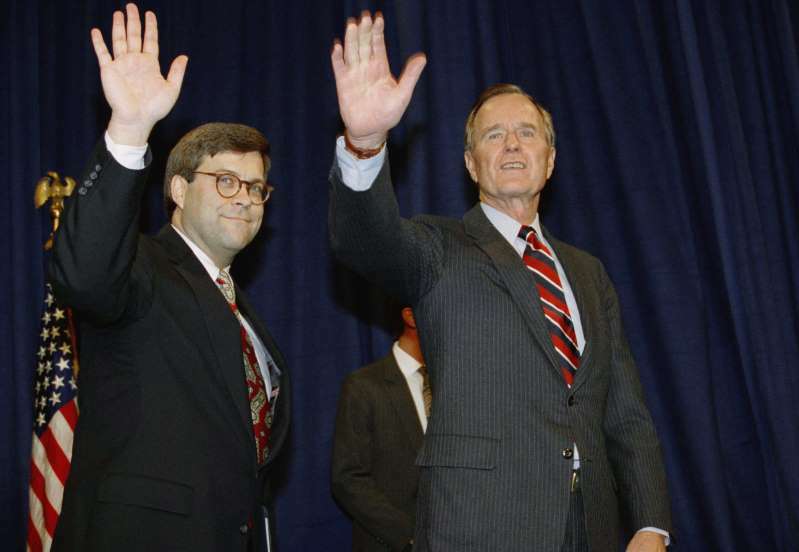 Bush nominated him to be attorney general in 1991 and he sailed through confirmation, being approved unanimously by the Senate Judiciary Committee and by the full Senate. Another president, named Donald Trump, has selected him for the top justice job once again. Will he sail effortlessly to confirmation? Nope. It won’t happen. This is a different time. We have a different type of man in the Oval Office. The climate in Washington is far more toxic than it was when the AG-designate strode upon the national scene back in the old days. The government is partially shut down. Questions are swirling all around the president. The previous attorney general, Jeff Sessions, got fired because he acted ethically by recusing himself from an investigation into a circumstance in which he was a principal player; he then incurred the president’s wrath for standing up for the rule of law and for DOJ ethics policies. William Barr is facing tough questioning from Senate committee Democrats. He is handling himself well and I happen to believe he should be confirmed as attorney general, largely because he is now on record as committing himself to ensuring that a key investigation into Trump’s campaign is completed fully and without political pressure or interference. Yes, there is plenty to concern Americans. 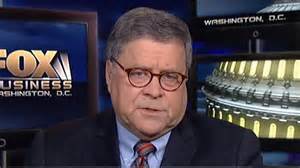 I would prefer that Barr commit to letting the public view special counsel Robert Mueller’s report when he issues it. However, he has stated that Mueller — whom he has known for 30 years — is not engaging in a “witch hunt” and has expressed confidence in the integrity of his probe. And . . . he has told senators that he won’t allow the president to bully him the way he did Jeff Sessions. This confirmation process is going to be a lot tougher for William Barr than it was the first time. It’s merely a symptom of the era into which we entered upon the election of Donald Trump as president of the United States. 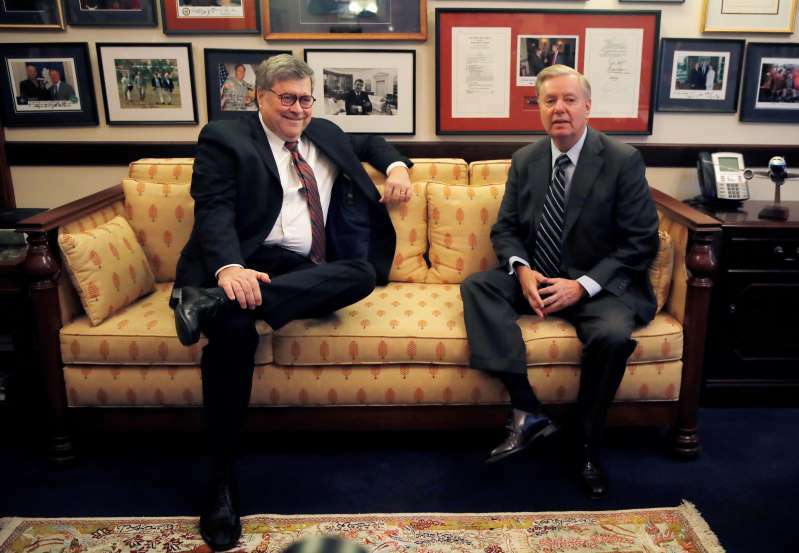 William Barr next as AG? Here’s the big question . . .
William Barr, who served as U.S. attorney general during the final two years of the George H.W. Bush administration, is returning to lead the Justice Department. 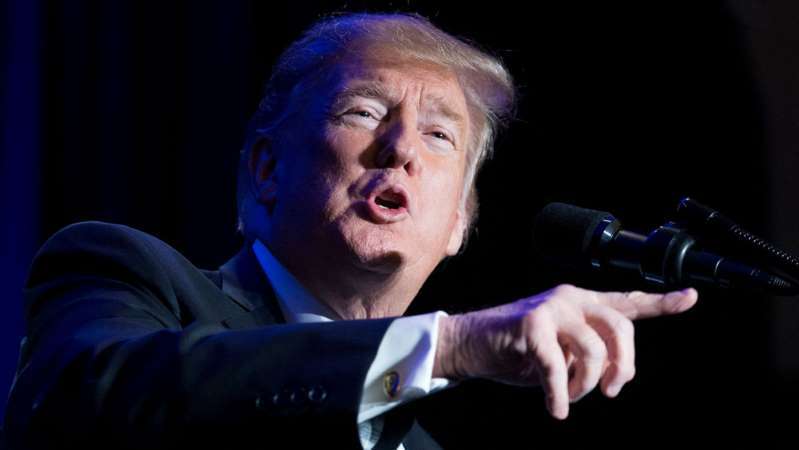 Donald J. Trump has said he will nominate Barr to succeed Matthew Whitaker, the acting AG. 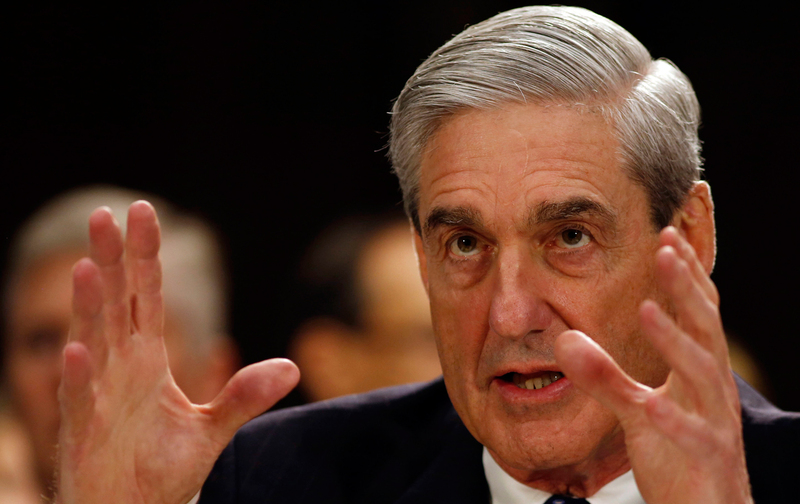 Here, though, is the question I would ask him if I had the authority to ask it of the AG-designate: Will you commit to allowing special counsel Robert Mueller complete his investigation into whether the president’s campaign team colluded with Russians who attacked our electoral system in 2016? The president has said repeatedly that former Attorney General Jeff Sessions should never have recused himself from the Russia probe, that he should have revealed he would do so before Trump nominated him. Trump saw Sessions’ recusal as a “betrayal” of the president, not understanding that the attorney general swears to uphold the law and does not swear to be loyal to the president. Sessions’ recusal was the deal breaker for Trump. Meanwhile, Mueller has proceeded at full throttle. He has scored indictments, guilty pleas and is zeroing in on other key players in this investigation. Barr needs to commit to allowing Mueller to conclude his investigation, which now has gone on for well more than a year. Mueller is not the partisan hack that Trump accuses him of being. He is a former FBI director and a man of impeccable integrity. He needs to finish the job he has begun. 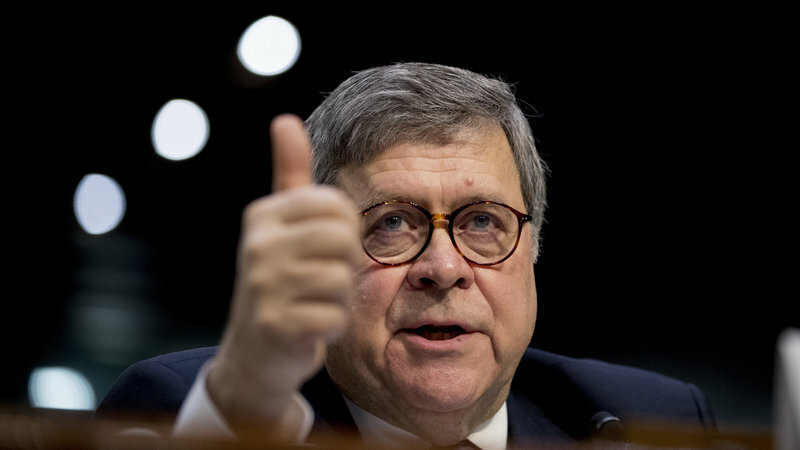 The next AG, and I’ll assume it will be William Barr, needs to let the special counsel complete his work, file his final report and then let the future take its course. It is my fervent hope that Republican and Democratic senators who will question the AG nominee are on the same page as well.